CSIRO’s marine debris team are calling on Australians to do the right thing with their rubbish this Christmas, with new research highlighting the nation’s ocean and coastal pollution issue. The research, published today in Frontiers in Ecology and the Environment, showed the coastline from Brisbane to Melbourne, western coast of Tasmania and the southern part of Western Australia to be the worst hot spots. "More than eight million tons of rubbish finds its way into the worlds’ oceans each year," CSIRO Principle Research Scientist Chris Wilcox said. "While about one million tons is out floating in the ocean, the rest ends up on the shore. "Apart from looking ugly, it causes significant harm to wildlife with about half of all seabirds and 30 per cent of sea turtles found to have eaten plastic. "We think turtles eat plastic bags because they look like jellyfish in the water and with seabirds it’s the smell of plastic which takes on a krill-like smell in the water." The research showed that while marine debris was a global issue, a significant amount of the litter found in a region had originated from the local area. 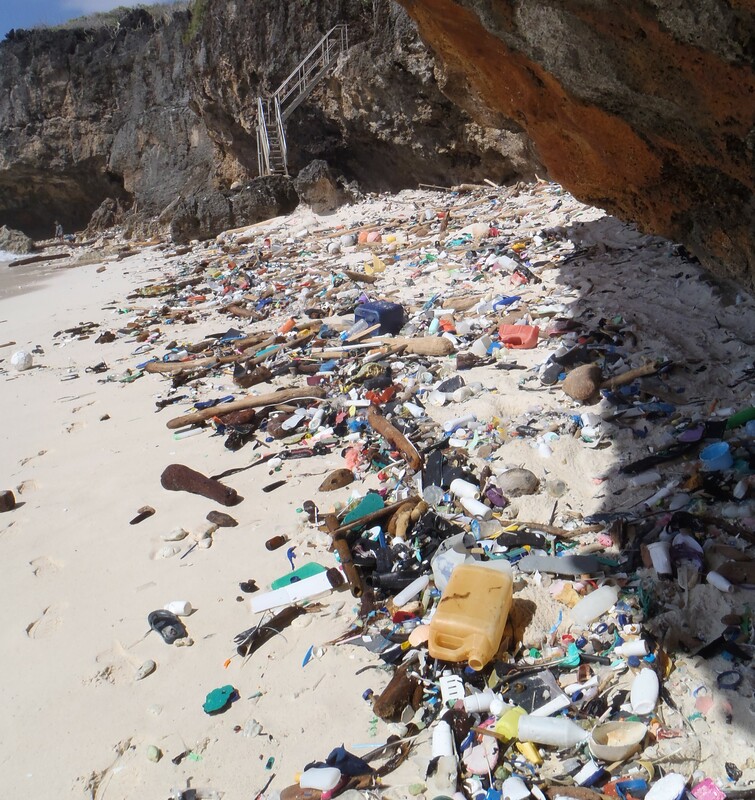 "Our research shows that in most cases, communities are being affected by their own rubbish, not the big rubbish gyre out in the middle of the ocean or rubbish from a neighbouring country," Dr Wilcox said. "This means that we are the cause but also the solution. "While up to 40 per cent of litter found during clean-up activities are beverage containers, things like discarded fishing equipment are also common culprits. "Our new research shows this is the case in western Tasmania with a large amount of the debris found to have been coming from fishing. "With millions of tons of rubbish produced each Christmas, it’s something to keep in mind during this years' celebrations. "If you’re out on the beach or at the park, take your rubbish home with you – don’t add to the pollution pandemic." 8.4 million tons of rubbish lands in the worlds’ oceans each year. View the Frontiers in Ecology and the Environment paper .